This cake is part of the Spirit of the Six Famous Tea Mountains series. 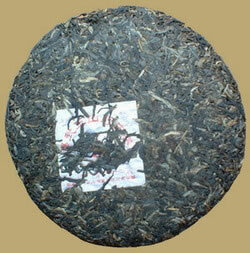 Six-Famous-Tea-Mountain Tea Co., Ltd. has selected large leaves from Yi Wu Mountain for this nice raw Pu-erh cake. Perfectly fine to drink now or put away for slowly mature by natural aging.